If you have ever been walking through the woods and worried about what animal has the strongest bite, you may just be safer in the woods than a swamp. 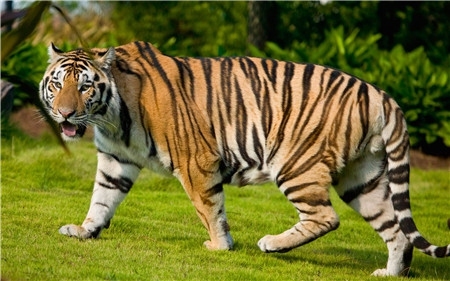 While any animal bite can be scary, wild animals may seriously endanger your life. If you have ever been nipped by a domestic dog, cat or your pet hamster, this is nothing compared to the bit of a wild animal. Animal bites are actually measured in “pounds per square inch” (psi) which is the force that their jaw closes down when biting. The weight of the animal delivering the bite is also taken into consideration. These two factors will give you the bite force of an animal. To put what animal has the strongest bite into perspective, a domestic dog has a bite force of around 200 to 300 psi. There are wild animals out there that deliver a much more powerful bite. Come and find the strongest bite force in animal kingdom! Our top contender for the strongest bite force is actually a crocodile. They are known for one of the strongest bite forces among all living animals. It is believed that their bite force may rival that of a T. Rex. 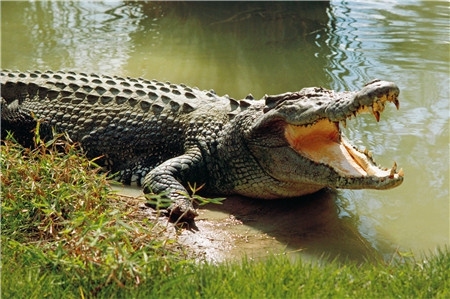 The saltwater crocodile, the largest living crocodile on earth is the most likely animal to eat humans. These very large animals feed on monkeys, sharks, water buffalo and wild boar. They have an ability to leap from the water using their tail as a spring, grab their victim in their jaws, dragging it under water and drowning it. The saltwater crocodile has a jaw force that can crush a full grown cow's skull with its jaws. This animal has an incredibly strong bite force because of the nature of the jaw structure. The skull contains a very large and stiff jaw muscle that resembles bone when touched. This muscle is so hard that it almost blends in the actual skull. It is situated for clamping and contrary to what you might think. They actually have a harder time opening their jaws than closing them. 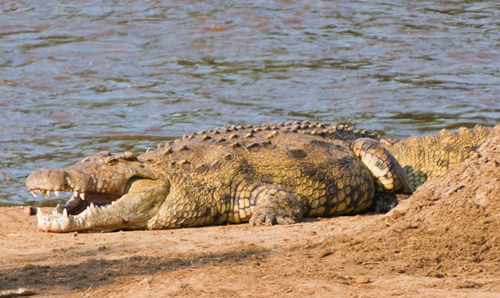 This is Africa’s largest crocodile and has a reputation as a man-eater. They usually dine on fish, but have been known to attack anything in their way like zebra, hippos, cheetah, jackals, birds and even lions. They do have teeth, but they do not use them to tear the flesh of their prey. The teeth are used for holding the pretty in place. It is the force of the jaw that grips their dinner and pulls it into the water for drowning and dining by other crocodile. 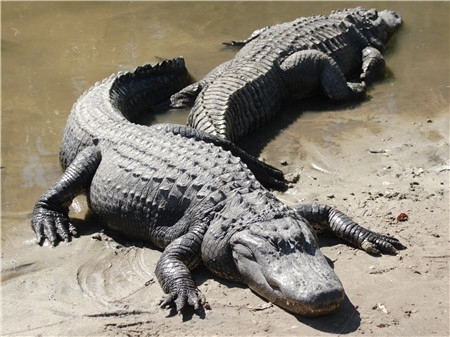 Interestingly enough, there are only two species of alligator in the world and the American alligator is one. The other surviving species is the Chinese alligator. Their diet is mostly made up of snakes, turtles, fish and other small animals. They have been known to eat humans and pets. These alligators have very sharp teeth along with powerful jaw muscles that grab prey. They can sometimes prey and bite humans and often cause severe injury and infection. When looking at what animal has the strongest bite, it is also important to consider other animals that can deliver powerful bites. Here is a list of a few animals to steer clear of when you’re out and about in the wilderness. 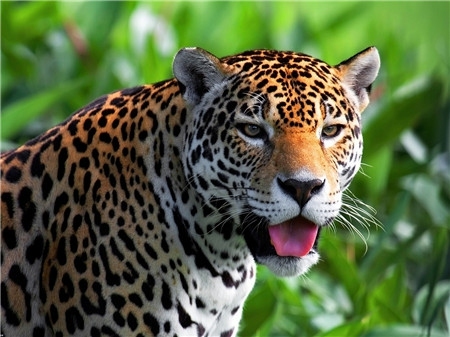 The Jaguar has a bite force of 700 psi and can pierce the skulls and brains of any animal it preys on. They kill by primarily biting the head and the bite is so powerful that it can even pierce the shell of a turtle. The hippopotamus delivers a bite with a whopping bite force of 1, 821 psi. 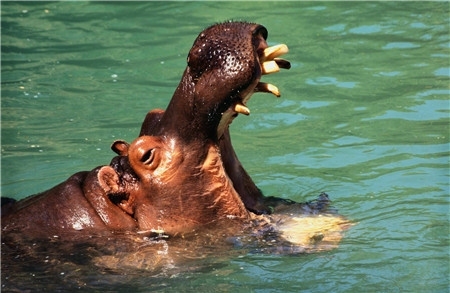 The hippo’s closest cousins are cows and whales. They are actually herbivores, but aggressive and territorial by nature. 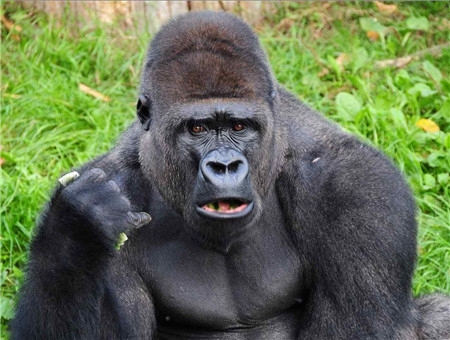 Gorillas are vegetarian, but can deliver quite a bite. They are gentle and non-threatening, but their jaws are designed to chew through tough plants like bamboo stalks. Their bite measures 1,300 psi. This comes from powerful jaw and neck muscles. 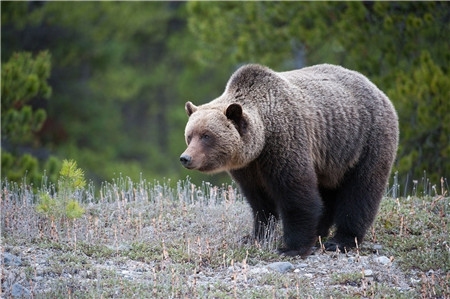 These bears are omnivores, meaning that they eat both meat and plants. They tend to be very aggressive, but not hunt all the time. Their powerful jaws can bite with 1,250 psi. They are only dangerous to humans if they have cubs. They have very big incisor teeth that can rip apart flesh, but they often just pick and eat berries. The Hyena delivers a bite with 1,100 psi. They have a very strong jaw that can crush the bones of a giraffe. 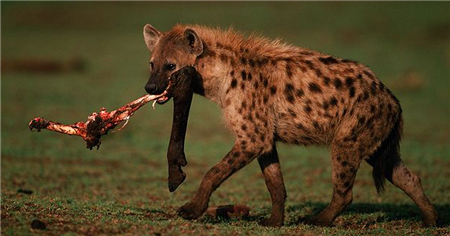 They are predators and tend to go after the bones that other predators have left behind. This species of cat is a hunter by nature. They hunt during the night and bite with 1,050 psi usually at the throat of the prey. This bite is twice the bite force of lions. Their teeth are very strong and the powerful jaws can strangulate their prey. The movie “Jaws” caused a huge outpouring of fear for these sharks. 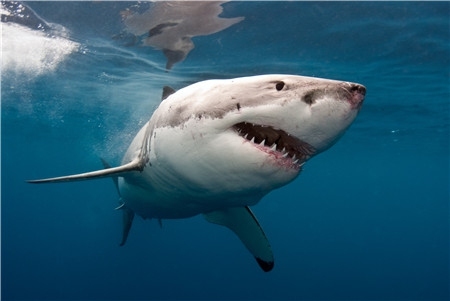 There has also been a rise in the number of documented shark attacks on humans in recent years. While the great white shark only delivers a bite force of 669 psi, only a little more than a domestic dog. The actual damage from a shark bite is they have very sharp teeth that rips flesh apart.